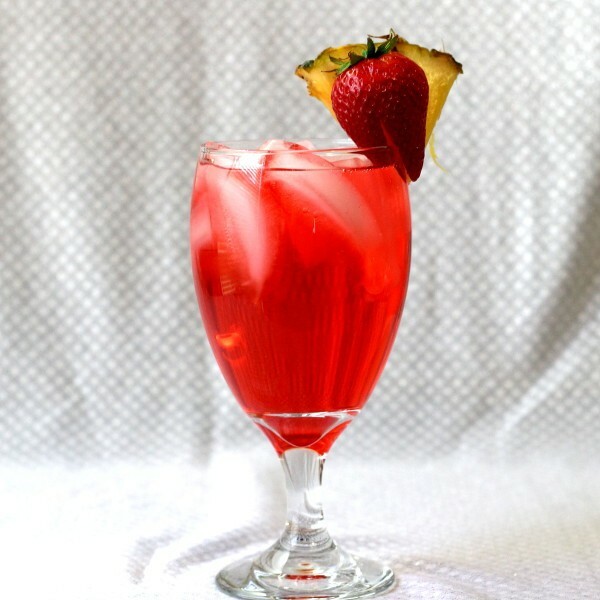 The Gin Squirt cocktail is very simple – just gin, grenadine, carbonated water and some sugar to make it even sweeter. The flavor is pretty fabulous, if you like a sweet cocktail, but what really sells this one in my humble opinion is the garnish. There’s just something about getting chunks of fruit with a cocktail. It brings a new texture to the drink. You can dip the fruit in the drink and let it soak up some of the cocktail, if you like. It’s just fun. Fill a mixing glass or shaker with ice. Pour in the grin, grenadine and sugar and stir rather than shake. Fill a highball glass with ice and strain the mixture into it. Top off with the carbonated water and stir again. 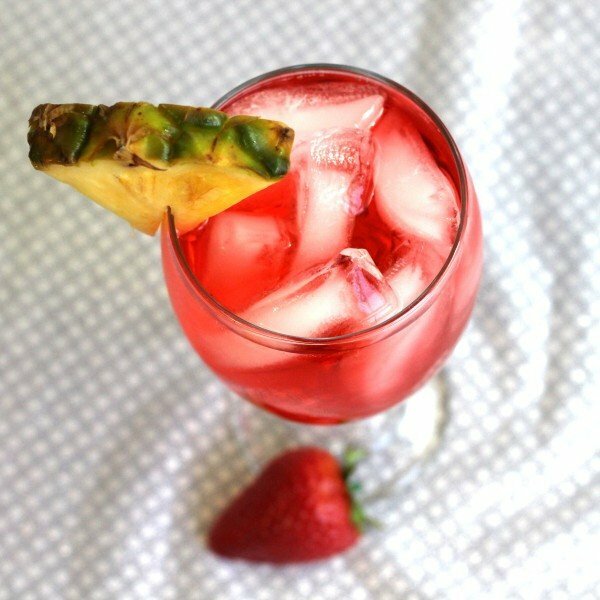 Garnish with pineapple and/or strawberry.